Monitor profesjonalny FHD z płaskim frontem i zintegrowaną szybą ochronną. Mocna, metalowa obudowa i wiele opcji zasilania. Wersja LX ( Luxury )zawiera wersję Simple. 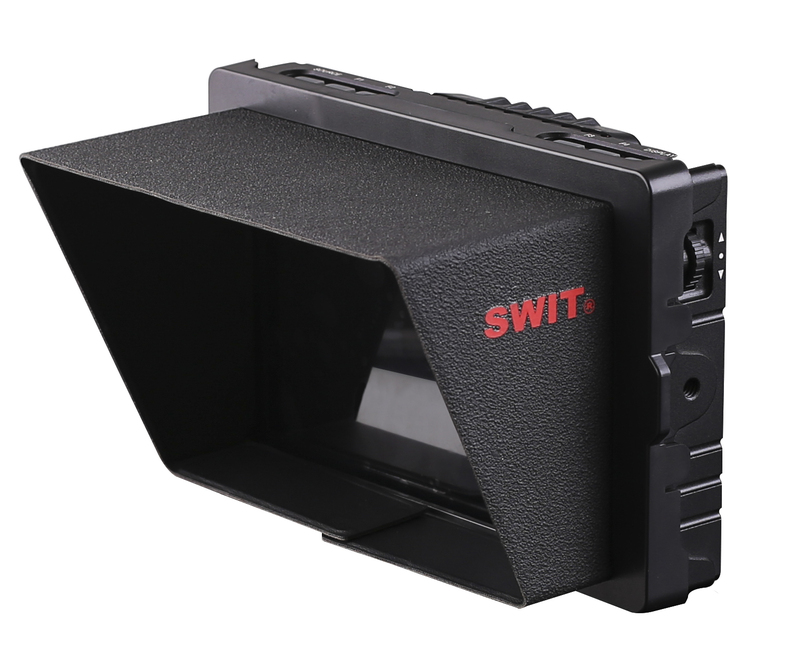 S-1073F adopts aluminium alloy housing, thinner and robust, suitable for outdoor on-camera video monitoring. Assign the zoom-in mode to any of the F keys, and enable zoom-in mode. Scroll the menu key you can quickly zoom in the video by the following rates: 1.2x, 1.5x, 1.8x, 2.0x, 2.4x, 2.6x, 2.8x, 3.0x, without black waiting. 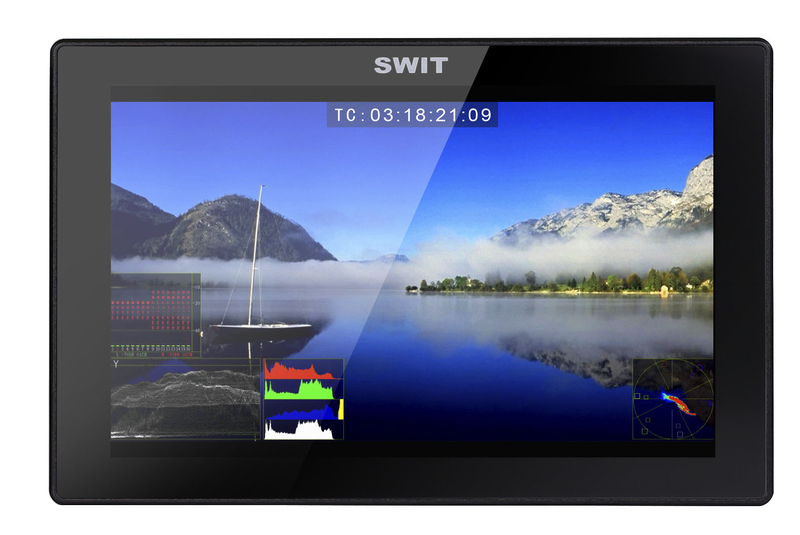 S-1073F monitor has built-in camera logs to Rec 709 conversion LUTs, including Log-C, C-log, S-log2， S-log3, V-log, J-log1, RedLogFilm. 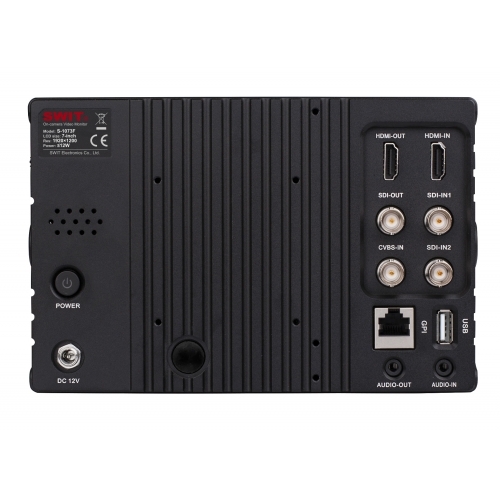 S-1073F supports video analysis assistant patterns includes: Waveform (Y/Pb/Pr/R/G/B), Vector scope, Histogram (R/G/B/Y), to convert the digital video quality info (Luma, Color, Saturation, etc) to patterns, and the patterns can be switched on/off individually, select display position (Up/Down/Left/Right), size, color, and translucence. S-1073F supports SDI-16ch, HDMI-2ch and analog audio 2-ch audio meters display, with marks and audio abnormal alert info. 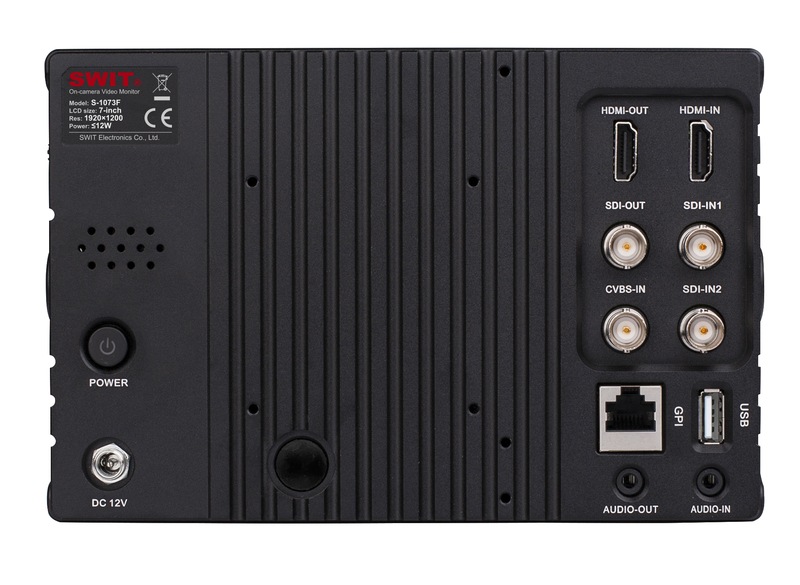 Users can also select any 2 channels audio to output via 3.5mm socket or speakers. The audio meter pattern position can be selected from one of four corners, and you can select to display only 2 channels, 8 channels, and full 16 channels. Also scale markers, alert info, and translucent of the audio meter pattern are selectable. S-1073F supports GPI control input via rear RJ45(RS485) port. Users can define the functions for each GPI pins, including Red/Green/Yellow Tally signals. The monitor screen will display soft Tally signal, which flashes as Red/Green/Yellow according to the GPI settings. 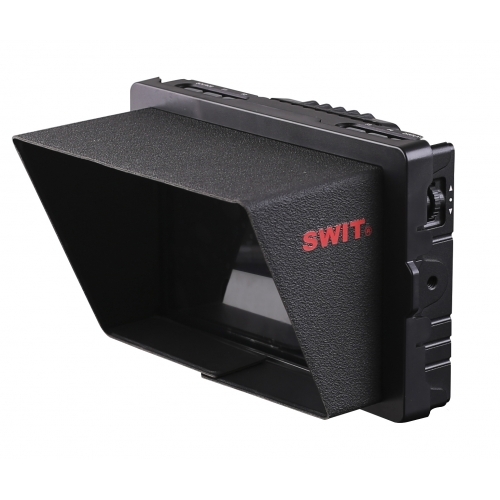 Audio meters, Histogram, False color, AFD, H/V delay, R/G/B/Mono, scale markers, Colorbar, UMD, Audio alert, Max backlight, Peaking focus assist, Aspect ratio, Scan mode, Zoom mode, Mute, Freeze frame, Flip, Waveform, Color temperature, Timecode, Zebra, Vector scope. 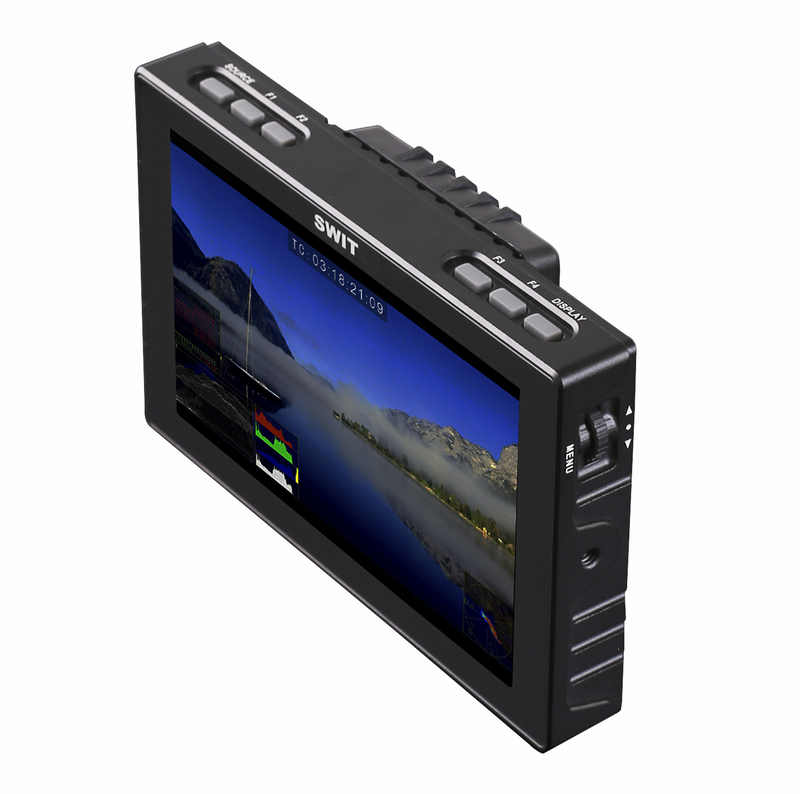 The monitor provides a standard USB port on the side, for firmware upgrade. 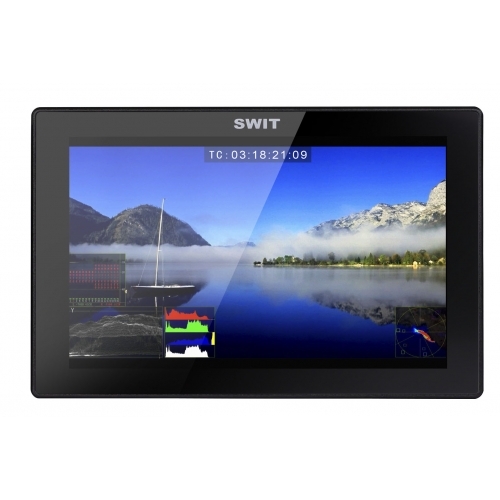 Users can download the latest firmware file to a USB stick, and insert into S-1073F monitor to upgrade, without PC connection. 1x zaczep akumulatora na plecy RODZAJ DO WYBORU PRZY ZAKUPIE ( S-7003 ). Zaczep jest wymienny.